I recently purchased Epower™ from Microbiologics and need to dilute it to lower concentrations for my tests. Do you have any advice on how to perform dilutions? Thank you for purchasing Epower! I know firsthand how confusing dilutions can be. That’s why my fellow experts at Microbiologics and I created some tools to help you understand how dilutions work. These resources can also teach you how to make a dilution scheme for achieving the concentration you need. The first tool is a technical guide available on our website. The guide includes simple descriptions and illustrations that walk you through the basics of how to perform dilutions. You can find the guide here. The second tool is a video featuring our Dr. Karla Fjeld. The video provides step-by-step instructions on how to perform dilutions. Sometimes it’s easiest to learn by example. My colleagues recently helped a customer create the dilutions scheme below. This customer purchased an Epower strain at E3 concentration (1000-9999 CFU/pellet) and their target concentration was 10-100 CFU/0.1 ml. Step 1: Start with an Epower E3 pellet (which contains 1000-9999 CFU). Step 3: As stated above, use a 0.1 ml aliquot from Suspension A which will yield 10-99 CFU – Bingo! I hope these tools help you design the best dilution scheme for your test methods. 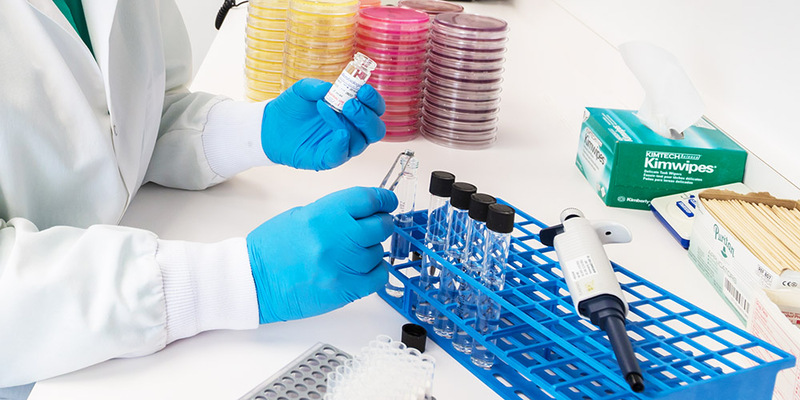 If you have questions about performing dilutions while using Microbiologics products, please reach out to our Technical Support team at +1.320.229.7045 or techsupport@mirobiologics.com. Thank you for sharing the dilution process of bacteria. It was very clear and concise. 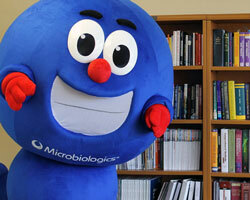 We would like to have a Stanley Staphylococcus to display in our laboratory. We currently have 5 microbes that we purchased from Giant Microbes and would love to have Stanley join them on our display shelf. How would we be able to get one?